TOP 4 HARDEST ALBUMS you listen to a lot? Re: TOP 4 HARDEST ALBUMS you listen to a lot? I must also mention Dark Angel's "Darkness Descends", which I'm listening to right now - very beasty album! The "hardest" store bought CDs that seem to have made their way into my CD player the most recently of late have probably been. . . Since I picked up Morbid Tales the CD in my player is a collection I made of various Celtic Frost tracks ripped from multiple albums with a few tracks thrown in from bands like BLESSEDBETHYNAME, MALICE IN WONDERLAND, SEPULTRURA, DEICIDE, and ATARGATIS. Or it used to be. I need to reburn that. (*) I recently stumbled on a used copy of this old album so this has been playing a lot. Very nostalgic. What a great and often underrated and never talked about metal band. * Dean Martin - This Time I'm Swingin'! Hey, I don't fool around. I go to extremes. Gee-this is an old thread! And Hallows- if you listen to this song-it's like the Stooges meet the Apocolypse. With some jazz guitar thrown in. It's actually GOOD. John- Actually listen to it-musically-before you dismiss it. Give it a chance-please. "Your digging your own grave-and your taking my feelings with you- THERES GOT TO BE A WAY OUT!" Black Flag is actually very personal music. It IS fast-but LISTEN to it. It's HONEST. 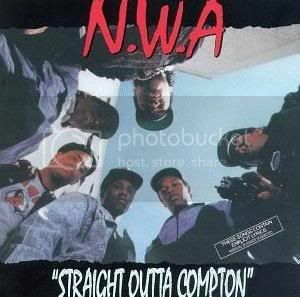 Like NWA. It SPEAKS. Homesick by A Day to Remember.